President Trump’s nominee for drug czar withdrew his name from consideration this week, after it was revealed that he’d sponsored an industry-friendly law that hobbled the DEA’s efforts to combat the nation’s opioid crisis. 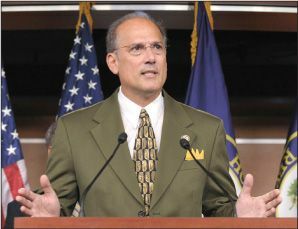 A joint Washington Post/60 Minutes investigation detailed how Rep. Tom Marino (R-Pa.)—who’d been nominated to head the White House Office of National Drug Control Policy—championed a 2016 bill that made it nearly impossible for drug enforcement officials to halt suspicious bulk shipments of painkillers to pharmacies and pain clinics. He and other sponsors argued the law would help ensure patients received medications they needed. But DEA officials, who opposed the bill, complained that it undercut their efforts against drug distributors who were flooding communities with highly addictive opioids. One West Virginia town with a population of just 372 people was sent 9 million hydrocodone pills over two years. At a White House press conference, Trump announced that he would declare the opioid crisis a national emergency “next week,” having first promised to make the declaration in August. The emergency designation would allow states to request more money for first responders and increase access to medications for addiction, among other measures. A bipartisan group of lawmakers said they would try to repeal the Marino-backed law.